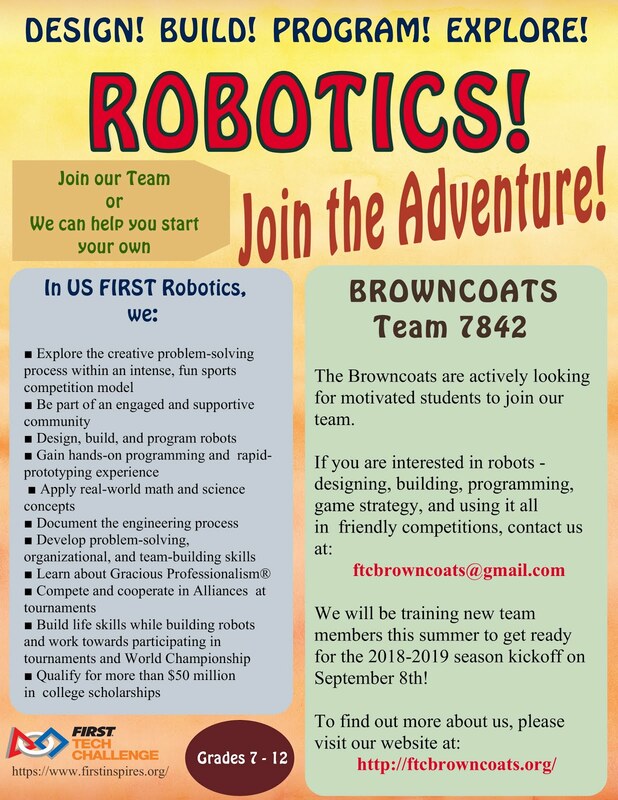 FTC 7842 Browncoats is a FIRST Tech Challenge competition robotics team based in the Huntsville area. This is our fifth year competing in FIRST Robotics (https://www.firstinspires.org/ ). If you would like more information, please feel free to contact us at ftcbrowncoats@gmail.com or visit our website at http://ftcbrowncoats.org/.